AMG-25 exhibits potent inhibition of c-Kit with greater than 200-fold selectivity over KDR, p38, Lck and Src. PLX-3397 is a receptor tyrosine kinase (RTK) inhibitor of KIT, CSF1R and FLT3, with potential antineoplastic activity, with IC50 of 28 and 16 nM for Fms and Kit, respectively. 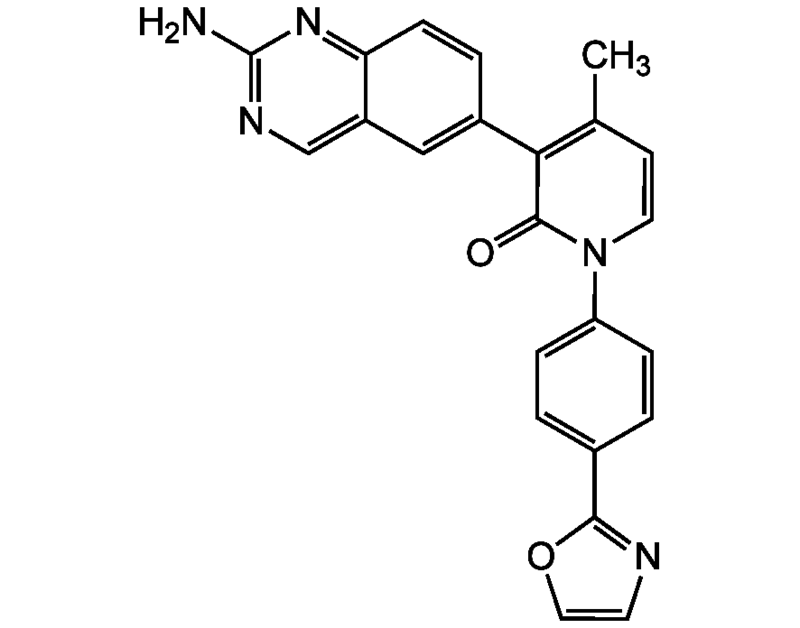 ISCK03 is a specific SCF/c-Kit inhibitor. 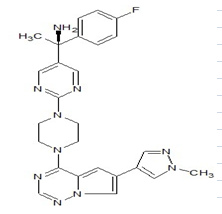 AZD2932 is a new series of quinazoline ether inhibitor which potently inhibits VEGFR-2 and PDGFR with IC50s of 4 nM/8 nM/ 7 nM for PDGFRβ/VEGFR-2/Flt-3. 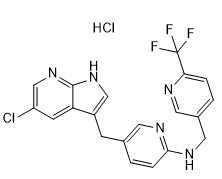 Flumatinib mesylate (HH-GV-678 mesylate), a derivative of imatinib, is a multi-kinase inhibitor with IC50 Values of 1.2 nM, 307.6 nM and 2662 nM for c-Abl, PDGFRβ and c-Kit respectively. 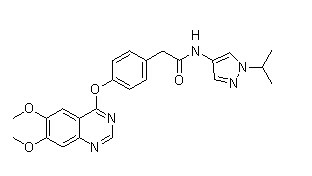 Flumatinib is a multi-kinase inhibitor with IC50 Values of 1.2 nM, 307.6 nM and 2662 nM for c-Abl, PDGFRβ and c-Kit respectively.